Memory reconsolidation is quite possibly the only therapy that can change someone's learned emotional behaviour. It is almost certainly the only therapy that has been shown by extensive neuroscience research to be able to change someone's behaviour at a subconscious level. Psychotherapies such as coherence therapy and NLP can also produce the permanent changes that memory reconsolidation offers, but I believe that the method used within a hypnotic trance is the most powerful and life changing of the therapies. Some hypnotherapists only offer forms of suggestion hypnotherapy and CBT. At my Norwich practice I offer both suggestion hypnotherapy and memory reconsolidation. Stopping smoking, fear of flying and virtual gastric band therapy are all excellent candidates for positive suggestions but for really sorting out someone's life then memory reconsolidation is the answer. Memory reconsolidation is not a new therapy. It has been practised for decades by therapists with fantastic results but there has only been anecdotal evidence to show for all the good work. Masses of scientific research have now shown that problematic learned emotional responses can be changed. For a hundred years the scientific community believed that once a thought, action or feeling was hard wired into the subconscious then is was permanent. Recently ground breaking advances in technology have shown that the subconscious brain shows plastic behaviour and can change given the right therapy. By finding the memory, bringing back the forming emotion and then exposing it to contradictory information can change the emotional response into a sensible reaction. Hypnosis is the perfect tool for this. Memory reconsolidation works for anxiety, depression, over eating, confidence, sexual problems and much more. We are all victims of our own emotional reactions. So why is memory reconsolidation different? Why don't all therapist offer it? The therapy takes effort from the client and skill and patience from the therapist. Dealing with people's learned and sometimes unpleasant memories and emotions requires a very stable and secure therapist. But the results are worth it. You can see my website www.LukeHenderson.co.uk for further details. I have a degree in physics and a diploma in hypnotherapy and psychotherapy. 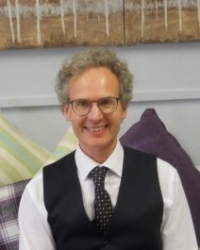 I have worked as a physics teacher and had a hypnotherapy practice in Oxford for five years. I specialise in weight loss, anxiety, stress, stopping smoking, sexual problems, phobias and many other emotional problems. Located in Cambridge and Saffron Walden.